A local solar energy developer is proposing a 60 + unit attainable housing ‘Ecovillage’ southeast of Picton. Steve VanDusen, Chief Executive Officer, President and Owner of Tri-Canadian Energy (TCE), was before Committee of the whole on Thursday to offer broad strokes of a potential solution to the affordable housing issue the municipality and local residents (or would-be residents) are grappling with. Entitled the Tri-Canadian Energy Attainable Housing Initiative, the development will see between 64-68 one to two acre severed lots on Rosseau Road. 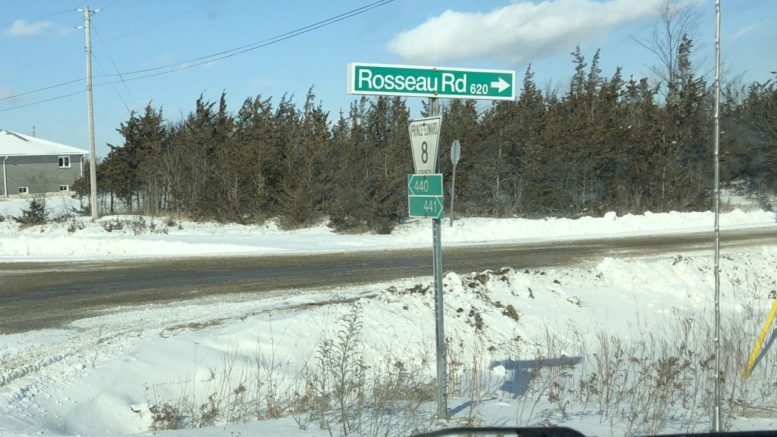 According the TCE Chief Officer of Operations Barb VanDusen, the company recognizes the 68 proposed severances on the 168 acre Rosseau Road locatio are valued at approximately $150,000/per lot but are invaluable to the attainable housing initiative. “Tri-Canadian Energy is going to reduce the price of these lots to $35,000-45,000 therefore surrendering approximately $6 million in potential profit as a commitment to making this Attainable Housing Initiative work. We are meeting with the province to help with remote net metering and net metering in every house built at the Rousseau road location,” Barb VanDusen explained. The COO said the initiative is designed to make buying property and obtaining a mortgage more achievable for members of the Prince Edward County community who would be less likely to have such an opportunity. All of the severed lots will be sold at a greatly reduced cost, in order to make it much more attainable. “We want to affiliate with different partners in the community, such as Picton Home Hardware & Adam Bussher, who is willing to be a contributor to this project by offering some kind of general discount. Home Hardware is a key supporter of Attainable Housing,” Barb VanDusen said. By using Ontario’s Vacant land Condo act, the development would be guided by a Board of Directors that would ensure a commitment to a more attainable and sustainable lifestyle for all future residents and uphold a fair and ethical business approach to situations. “The Board will be approachable and understanding with a commitment to compassion and will uphold its values by being transparent while still maintaining a safe environment for its members as well as the share/stakeholders involved,” Barb VanDusen said. In addition to looking for input from council, the development would require Rosseau Rd to be opened to a Class five, all season road. Currently the road is a seasonal road and doesn’t receive any winter maintenance. “The idea is to put these lots in the hands of people who normally couldn’t afford them,” Steve VanDusen explained. With some prime building lots fetching $150,000 on the sizzling Prince Edward County real estate market an latest market studies indicating the average house in Prince Edward County is valued at $643,000, it’s not hard to see families and the working class are getting priced out of owning or even renting locally. VanDusen’s company has built solar and alternative energy installations around the world over the past decade and he has seen similar issues pop up elsewhere in growing areas. “I’ve seen this as an issue that’s been developing right here in my own back yard and many Prince Edward County employers have come to me saying ‘I can’t get workers, they can’t afford to live here, they can’t afford to rent here’,” Steve VanDusen said. As part of their presentation, TCE presented councillors with a potential site plan and the document has made its way through the developer circles. “To give you an idea of what’s happening out there, once this survey was seen by other developers, they started calling me and offering to buy in and purchase 10 or 15 lots off the hop but that’s not the goal of this initiative,” Steve VanDusen said. In order to make sure the development stayed affordable for residents, there would be somewhat stringent restrictions on becoming part of the Ecovillage. The CEO explained the purchase of one of the $35-45,000 lots was part of a lease program. In terms of the residents and day-to-day life at this designed Ecovillage, sustainable living at reduced costs would be key and TCE has a vision for promoting this within this community by utilizing Ontario Hydro’s remote net metering initiative, a plan that allows residents of the proposed community to have a reduction in both hydro and heating bills by sharing power generated from a sustainable solar field. “Before we lose all hope of continuing our unique County heritage, TCE will do its best to help the County of Prince Edward achieve their goals at a level and a standard uncharted to date,” Barb VanDusen added. Councillor Bill Roberts asked about price points to ensure attainability and affordability and asked about the bench mark of around $250,000. “If you use smart shopping and look after your materials, you can drive that price down,” Steve VanDusen said, citing new technologies and small build concepts that can be advantageously utilized to put prices below certain bench marks.